Manchester United undoubtedly possess one of the most diverse squads in the game at the moment. However, the problem is that this diversity isn’t exactly one that eases their woes. 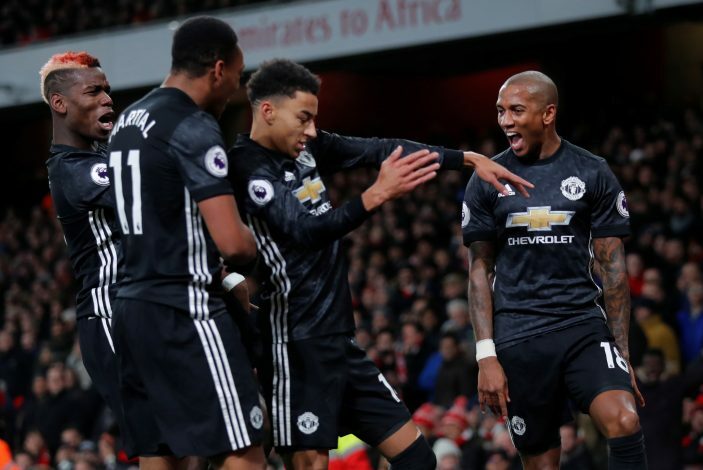 Coupled with the fact that multiple players might be vying for similar spots, it would certainly seem that the Red Devils have a big problem at hand. While their UEFA Champions League exit isn’t exactly a reflection of this issue, in particular, it can’t be denied that the side hasn’t risen to the kind of expectations pinned upon it. It now appears that Jose Mourinho has caught wind of this fact and is about to do something drastic to change things up. As per Mirror, a mass exodus is about to occur at Old Trafford in the summer, and as many as ten players might find themselves looking for a new club soon. Leading the charge, without many surprises, is Luke Shaw. Despite Mourinho’s positive remarks about the player from a while ago, his dismal showing against Brighton and the criticism he garnered might ensure the youngster will look for another challenge. Defenders Daley Blind, Matteo Darmian, and Chris Smalling could also very well be on their way out, as Mourinho looks to build a defense worthy of world-class football. The source added the more obvious names of Michael Carrick and Zlatan Ibrahimovic to the list. While Carrick is bound to retire at the end of this season, Ibrahimovic’s inability to return well from injury and his short-term contract might as well ensure that his spell as a Red Devil is over. Despite that, the duo could still potentially return to Old Trafford for coaching duties. In terms of probable transfers, Marouane Fellaini, believed to be hotly pursued by top European giants, is the most likely of the lot to seek an exit himself. Meanwhile, Spaniards Ander Herrera and Juan Mata could also depart after finding themselves surplus of requirements at Old Trafford in the face of better talents and potentially more challenging prospects arriving at the Mancunian side. Lastly, it will be Anthony Martial, who despite enjoying a scintillating season so far, will finally seek to capitalize on some of the offers awaiting him, and seek a side that is worthy of his abilities and provides him with the apt game time. While the future of these players continues to remain a matter of speculation, a cleansing of this sort will not doubt mean major implications for the future of the club.